Born of a Greek-Cypriot dad and a Swedish mom, he was half Greek Orthodox and half Baptist and now he’s a devout Muslim. In between, he’s had a remarkable and tumultuous career as a pop star. He’s had backup artists on his albums ranging from Peter Gabriel to Biff Rose. He’s cited influences as wide-ranging as the Gershwins, Leonard Bernstein and Muddy Waters. He dated Carly Simon (“Anticipation” was about him, not the difficulties involved in coaxing Heinz Ketchup from the bottle) and his songs were featured in the unforgettable cult film “Harold and Maude” starring the great Ruth Gordon and Bud Cort. He almost died twice: first, before his career took off, from a bout with Tuberculosis in the UK and later in 1976 he almost drowned in the ocean off of Malibu. When he sings “But I might die tonight,” he sings from experience! Without going into all of the details, let’s just agree that his first great album was Mona Bone Jackon issued originally on Island Records in the UK and A&M in America. 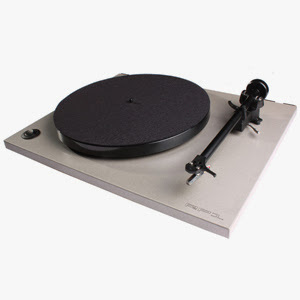 A vinyl reissue from Mobile Fidelity is scheduled for release sometime this year. His follow up, Tea For the Tillerman also originally on Island and A&M is considered by most to be his greatest record as well as a Top 10 Billboard hit. Like all true classics, the cover art (drawn by the then Mr. Stevens) is a perfect fit for the music. The answer is simple: it remains a great, enduring piece of folk/rock, brilliantly performed and recorded. Original pink label Island pressings are still much sought after for both sound and the superior gatefold presentation. There have been a few reissues including a Japanese JVC pressed Mobile Fidelity issue and a flat profile UHQR edition. 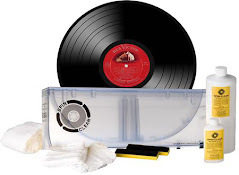 Though the master tape had been lost since it was last used for a 1999 CD reissue—part of a Cat Stevens reissue series overseen by the original producer, Paul Samwell-Smith and mastered by Ted Jensen at Sterling Sound—Kassem was determined to find it and use it for his first vinyl release. Thanks to a lot of leg and detective work, the pristine original analog master tape was found and used by George Marino, who cut lacquers at Sterling Sound, the mastering house where it was originally cut by Sterling Sound founder Lee Hulko, for both the U.S. and UK first editions. Hulko’s original mastering notes were on file at Sterling and used as a reference by Marino. The original was cut using a Telefunken M10 playback deck and a Neumann VMS 66 lathe and SX68 cutter head. Marino used an Ampex ATR-102 deck, Neumann VMS80 lathe and SX74 cutter head. Despite starting with the same cut, the pink label edition sounds vastly superior in every way, evidently because of superior plating and pressing quality, even though indie A&M was among the more meticulous, sound conscious record labels at the time. Kassem was also determined to reproduce as closely as possible the original gatefold packaging featuring a laminated outer jacket and an opaque, cloth-like inner one that was used only for the first pressing. Subsequent ones featured lamination inside and out. What makes this music special and capable of enduring through the decades' For one thing, the songs have memorable melodies, even the ones built upon two chord vamps like the opener, “Where Do the Children Play,” a prescient, still relevant song about the environment, overdevelopment and whatever else you wish to read into it. The production and sound remain spectacular and the arrangements, combining strummed acoustic guitars, strings arranged by Del Newman, stand up bass and drums sets the perfect stage for Stevens’ simultaneously tender and gruff vocalizing. The impeccably orchestrated arrangements include syncopated and dynamic flourishes played out on drums and strings that were and remain unusual for this musical genre. Speaking of being misunderstood, when I was on the radio in the early 1970s, the hit “Wild World” was actually banned from the progressive rock station as being “a sexist break-up song” because of it’s supposed general condescension and lines like “I’ll always remember you like a child, girl.” Supposedly it’s about his breakup with girlfriend Patti D’Arbanville (sung about on Mona Bone Jakon). But in retrospect, the only line that would lead one to believe it was a “break-up” song is the ambiguous opening line “Now that I’ve lost everything to you,” and indeed, perhaps it is a sexist break-up song, but it could just as easily be about a song to a daughter venturing out into the world for the first time. Considering the cover art, and another song on the album, “Father and Son,” that’s an equally probable interpretation—it certainly is a better one in 2011! There’s not a second wasted on the first side and so many arrangement nooks and crannies to be discovered on this superbly dynamic, spacious and detailed re-mastering and pressing. The title song is a short, joyous gospel-influenced denouement to end an endlessly entertaining journey that holds up fully every play forty-one years later! I remember buying my pink label Island copy at a small record store called The Depot, next to a train station in a small suburban Boston suburb, the name of which escapes me. Upon taking the expensive record out of the jacket I was disappointed to see the same STERLING stamp and LH marking on the inner groove area as on my A&M copy. I consoled myself with the far superior packaging and that iconic pink Island label. The first play on my Dual 1219 brought gasps because the sound was so far superior to the A&M. It was razor sharp in the best sense of the word, with black backgrounds and a dynamic thrust missing from the lackluster American pressing. Wow! And wow again listening to this impeccably pressed on 200g vinyl reissue. The attack of the pick on the guitar strings is astonishingly clean and detailed. Depth is pronounced and because of both the blackness of the backdrop and the precision of both the state of the art plating and the technological breakthroughs achieved in the retro-fitted presses, the resolution of low level detail reveals a host of details that are either buried or glossed over on the other versions I’ve heard and own. If you have the UHQR edition, you’ll find this similar in one way: there’s nothing “mellow” about the overall production and when the music gets loud (and Marino lets it get so) it can get a bit hard, but better that than to soften it and lose the clarity, focus and detail of this superb recording, especially in the quieter passages where the resolution of low level detail is astonishing. If your system is bright, this may sound a bit bright, especially if you can’t get the bottom octaves, but as your rig gets better, this record will only keep sounding better and better. 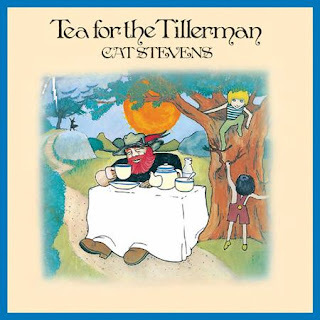 As for Cat Stevens, he went on to record a string of equally fine records, similar in tone and formula to this one, including Teaser and the Firecat, that contained more hits (“Peace Train,” “Morning Has Broken,” and “Moon Shadow”) than did Tea for the Tillerman, and Catch Bull at Four, followed by a few more albums that were somewhat less distinguished. Audio Fidelity issues a twenty song, two LP live set of his 1976 “Majikat” tour (AFZLP2 040) containing many of his most well-liked tunes. It was his farewell to the world as Cat Stevens and listening makes it clear that he was dispirited and going through the motions much of the time, though there are sparks of the old Cat there too. A year later he converted to Islam, taking the name Yusef Islam and forsaking his pop music career, though he did do a benefit for UNICEF at Wembley Stadium in 1979 and has been involved in charitable work ever since. Controversy followed as he was accused of aiding the terrorist group Hamas, which he denied and he is reputedly said to have been okay with the fatwa issued against Salman Rushdie, but again he denied that, saying he was “joking” and his comments had been improperly edited. After 9/11 he condemned the attack and he sang an a cappella version of “Peace Train” during the “Concert For New York” pre-concert show that was an unforgettable moment (among dozens during the concert proper) for his fans. He was ridiculously put on the terror watch list and in 2004 the commercial plane he was on bound for Washington D.C. was diverted to Maine where he was escorted off and sent back to the U.K. Since then he’s become more active in the secular music world but his piety seems to inhibit his expression, though his live performances have been generally well-received. He made a bizarre and somewhat uncomfortable appearance at the Jon Stewart/Stephen Colbert “Rally to Restore Sanity and/or Fear” where he performed “Peace Train” tentatively while Ozzie sang “Crazy Train” with the O’Jays finishing up with “Love Train.” You had to see it to believe it. None of that takes away from his rich period between 1969 and the mid-seventies when he produced some of the most memorable and enduring folk-rock records of the rock era. Analogue Productions will release them over the next year. Tea For the Tillerman is a great choice for an inaugural album to launch a new pressing plant in my opinion, and if this release is any indication of what we can expect from Chad Kassem’s new venture, we’re in for some great vinyl!!!!! (Please read my story about a visit to the new pressing plant in the August issue of Stereophile magazine). The release has been delayed until August 1st, 2011 but it will be well worth the wait! 'Behold A Raccoon In The Darkness,' is the fourth installment of Deerhoof’s collaborative 7” series in which guest vocalists perform over an instrumental track from the band’s latest album, 'Deerhoof vs. Evil.' The A side is "Behold" and we can hear the immediately identifiable sounds of Jeff Tweedy, with harmonies by his son Spencer. The Side B features "Own It," an original song by The Raccoonists, a group comprised of Tweedy and his two sons, Spencer and Sam. The record is due out on October 11 via Polyvinyl Records. It is strictly limited to 2000 copies on clear pink vinyl and it is available for pre-order now. pollstar.com has a very cool interview with popovic, well worth checking out! The Serbian guitarist/singer talks about her new album, writing music and her passion for the blues. Born in Belgrade, Ana Popovic’s affinity for the blues came via her parents’ record collection. Inspired by singers Tina Turner, Nina Simone and Koko Taylor as well as guitarists such as Jimi Hendrix and Buddy Guy, Popovic formed her first band while still a teenager. Scheduled for an August 16 release on Electogroove Records, her latest album, Unconditional, was recorded in New Orleans and was helmed by Grammy-winning producer John Porter. Popovic recently talked with Pollstar about Unconditional as well as how she approaches writing her music and why parents should never discourage their children’s musical aspirations. Some album covers — such as The Beatles’ Sergeant Pepper and Nirvana’s Nevermind — are now almost as celebrated as the music they contain. But before Steinweiss, discs were entombed in plain paper packaging. It was in 1939 that Steinweiss, who designed posters promoting Columbia Records’ new releases, rebelled against such stupefying dullness. . “They were so drab, so unattractive,” he recalled of the covers. Aa a solo artist and founding member of alternative rock band Throwing Muses, US singer and songwriter Kristin Hersh has been trying out new sounds for three decades. Recently, however, she has been exploring a different musical frontier - this one at the contested border where music and technology meet. Hersh's latest release, Crooked, is available as an application for the iPad, iPhone and iPod Touch and includes lyrics and an essay for each song, as well as exclusive interactive content, video extras and a forum where fans can interact with her through text and live web chats. ''Since the app release we've sold more apps than album downloads,'' says Hersh. ''Although numbers are still coming in, we've sold a couple of thousand already''. She estimates that to date the app has accounted for about 20 per cent of digital content sold. Hersh may be at the vanguard of a new musical movement. Farm Boy Music Group, a music production facility in the North Georgia mountains near Chattanooga, Tn is always striving to be on the cutting edge of technology and their latest addition to their arsenal is proof. They have recently began using a web based phone app service to handle releases and promotion of new material as it is being released from their studio. "In today's world, music is being released at an amazing rate," says Gary R. Farmer, CEO of the Farm Boy Music Group. "We are like most everyone else out there. New material promotion for the independant artist is always a tough thing to do with so many avenues for promotion. Do I use Twitter, Myspace, Digital Rodeo, Linkedin, or what? We are using a service that allows direct submission to all of those plus gives an artist an app for promotion direct to their fans and as they make changes to their app it will automatically send the updates to the app and ultimately the fans and buying public." The service is at the website www.songpier.com and available to anyone looking to self promote their music. "The app allows linking through to personal artist websites, video promotion, song promotion, mechandise sales, pictures, as well as much more. In essence, the app can become your own personal press kit because it allows you to daily blogging or press releases direct to the ones that have the app bookmarked to their smartphone". In addition to these brand new vinyl releases you can get a copy of Yellowcards 2011 release, 'When You’re Through Thinking, Say Yes' on a purple LP limited to only 300 copies. Originally released in 2006, Lights & Sounds debuted at #5 on the Billboard Top 200 chart, selling over 90,000 copies first week. Album features single, "Lights & Sounds" which peaked at #4 on Billboard Hot Modern Rock tracks. This is the first time the album has ever been released on vinyl. 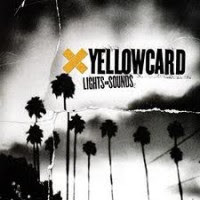 Yellowcard recently released their album, When You're Through Thinking, Say Yes, debuting at #19 on the Billboard Top 200 chart. After a sold out tour with All Time Low, they will be headlining in the fall and continuing to build the fan base that has kept them at the forefront of the pop punk scene. Released in 2002, The Underdog was released as a limited EP and is extremely rare. 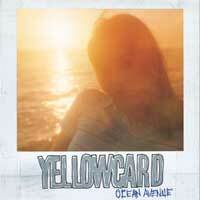 These 5 songs illustrate an important transition between older Yellowcard releases and the Ocean Avenue era. This is the first time the album has ever been released on vinyl with updated cover art. 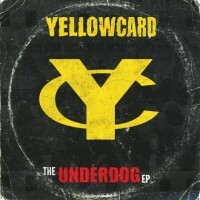 Yellowcard recently released their album, When You're Through Thinking, Say Yes, debuting at #19 on the Billboard Top 200 chart. After a sold out tour with All Time Low, they will be headlining in the fall and continuing to build the fan base that has kept them at the forefront of the pop punk scene. Released in 2007, Paper Walls debuted at #13 on the Billboard Top 200 chart. The release features the single "Light Up The Sky". This is the first time the album has ever been released on vinyl. 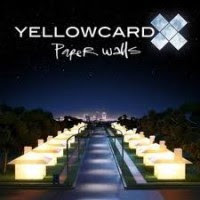 Yellowcard recently released their album, When You're Through Thinking, Say Yes, debuting at #19 on the Billboard Top 200 chart. After a sold out tour with All Time Low, they will be headlining in the fall and continuing to build the fan base that has kept them at the forefront of the pop punk scene. Southern California punk heroes Yellowcard are a young quintet which has created an enormous national grass-roots fan base from tireless touring and hundreds and hundreds of passionate live shows. Ocean Avenue was produced by Neal Avron and mixed by Lorde-Alge. The 13 song album offers a passionate brand of anthemic and melodic punk, but with a twist - complementing the standard band set up with the furious violin playing of Sean Mackin. In 1955, Elvis Presley's first number one record was released. The song was called "I Forgot to Remember to Forget" and when it hit the top of the US Country charts several months later, it stayed there for 5 weeks. In 1960, Chubby Checker appeared on US television show American Bandstand and performed “The Twist.” The song went to #1 on the US chart and again 18 months later in 1962. It is the only song to go to the top of the charts on two separate occasions. In 1970, the 10th National Jazz, Blues and Pop four day Festival was held at Plumpton Racecourse in Sussex, England. Featuring, Family, Groundhogs, Cat Stevens, Deep Purple, Fat Mattress, Yes, Caravan, The Strawbs, Black Sabbath, Wild Angles, Wishbone Ash and Daddy Longlegs. Also in 1970, the Concert for Peace was held in Shea Stadium, New York, with Paul Simon, Johnny Winter, Poco, Janis Joplin and Steppenwolf. The concert date coincided with the 25th anniversary of dropping an atomic bomb on Hiroshima, Japan. In 1973, 23 year-old Stevie Wonder is seriously injured when the rented car he is riding in slams into the back of a small logging truck on I-85 near Winston-Salem, North Carolina. He suffers multiple head injuries and will remain in a coma for four days. The movie version of Pink Floyd's The Wall opened in 1982. 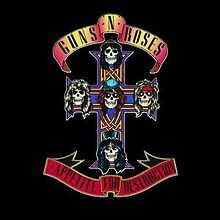 In 1988, Appetite For Destruction, Guns N' Roses debut album went to #1 in the U.S., after spending 57 weeks on the chart and selling over 5 million copies. Singles from the album, “Sweet Child O’ Mine,” “Welcome to the Jungle” and “Paradise City’”were all U.S. Top 10 hits. In 1994, Domenico Modugno, the Italian singer whose recording of "Volare" topped the North American charts in 1958, died of a heart attack near his home on the island of Lampedusa. He was 66. In 2000, it was announced that Ice-T would play a detective on the TV series Law & Order: Special Victims Unit. In 2004, Rick James was found dead at his Los Angeles home. Known as “The King of Punk-Funk,” James scored the 1981 U.S. #3 album Street Songs and 1981 U.S. #16 single “Super Freak part 1.” In the late ‘60s James worked as a songwriter and producer for Motown, working with Smokey Robinson and The Miracles. Addicted to cocaine, he once admitted to spending $7,000 a week on drugs for five years.